“Serial” may just have wrapped its third season, but the story of season 1’s Adnan Syed is still unfolding. Fourteen years after he was convicted of the 1999 murder of Hae Min Lee, “Serial“ advocated for his innocence. The show’s work spurred action that resulted in a new trial for the 38-year-old, who is currently serving a life sentence. To know exactly what went down after the podcast’s first season, though, we’ll have to turn to HBO. ‘The Case Against Adnan Syed’, a four-part docuseries directed by Amy Berg, is slated to debut on the network later this year. In addition to the evidence presented by “Serial“, the first teaser trailer for the series promises “a piece of evidence that nobody even realized existed for all these years,” and a current look at Syed and his legal struggles. Not everyone believes in Syed’s innocence. Plenty of fans were not convinced by Serial‘s evidence, and, in the ‘The Case Against Adnan Syed’, Syed himself admits things appear dicey. “I know there are things that don’t look good for me,” he says on the phone in the teaser. Is ‘The Case Against Adnan Syed’ the next step towards his freedom? As it’s a new year, we’re introducing something new for the blog, and for the first time, The 5 to 9 Life has a guest blogger: Wesley Leung. 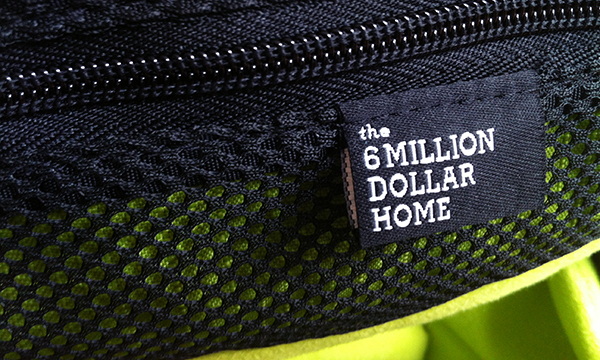 As a budding photographer / videographer, Wesley never thought to have a camera bag for his tools, but he was recently given the opportunity to test out Crumpler’s ‘6 Million Dollar Home’ camera bag. Read on for his thoughts.